. كما يقدم Ocean Pacific Resort الكثير من الخدمات لإغناء رحلتك في جولد كوست. تتضمن الميزات الرئيسية في هذا الفندق: خدمات بريدية, تسجيل وصول/خروج سريع, تخزين الأمتعة, صف السيارات, مرافق للشواء. تنعكس أجواء Ocean Pacific Resort في غرف الضيوف.تلفزيون بشاشة مسطحة, غرف لغير المدخنين, مكيف هواء, شرفة/ تراس, تليفون هي بعض الميزات الموجود في العديد من الغرف. يقدم الفندق خدمات رائعة كمثل حوض استحمام ساخن, مركز للياقة البدنية, ساونا, حمام سباحة خارجي, سبا لمساعدتك على الاسترخاء بعد نهار طويل من النشاط والتجوال في المدينة. يحظى فندق Ocean Pacific Resort بموقع ممتاز وخدمات يصعب منافستها. العقار يطلب مبلغ تأمين مسترجع بقيمة 200 دولار أسترالي عند تسجيل الوصول. يرجى العلم أن مدفوعات بطاقة Amex يُفرض عليها رسم بنسبة 2.95%. Loved the closeness to Pacific Fair and Oasis in Broadbeach, the beach and the Convention centre. Very clean and spacious. Shame the pool shuts at 9pm. 10 pm would be better although appreciate that noise is an issue with younger families. Hello Jackie, Thank you for your review. It is lovely to see another 10/10 experience. We hope to welcome you back again. Kind Regards, Management. 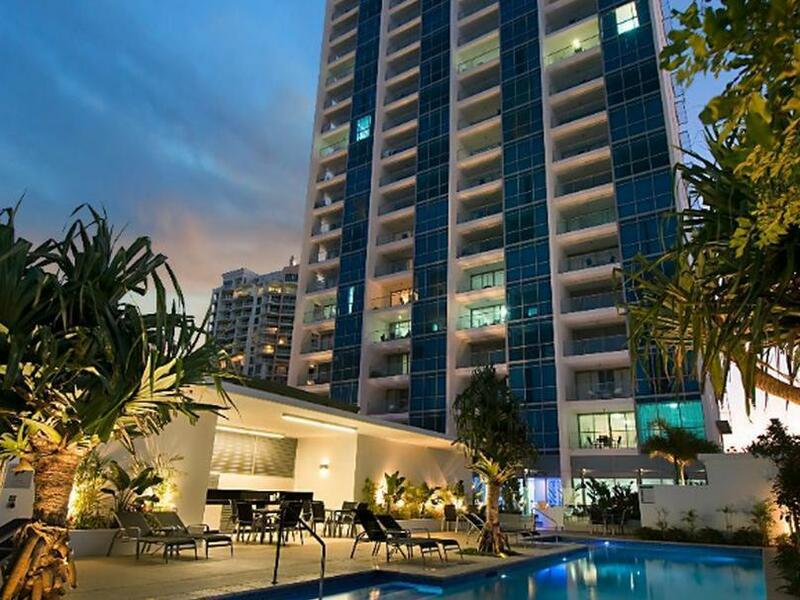 Ocean Pacific is the perfect location. 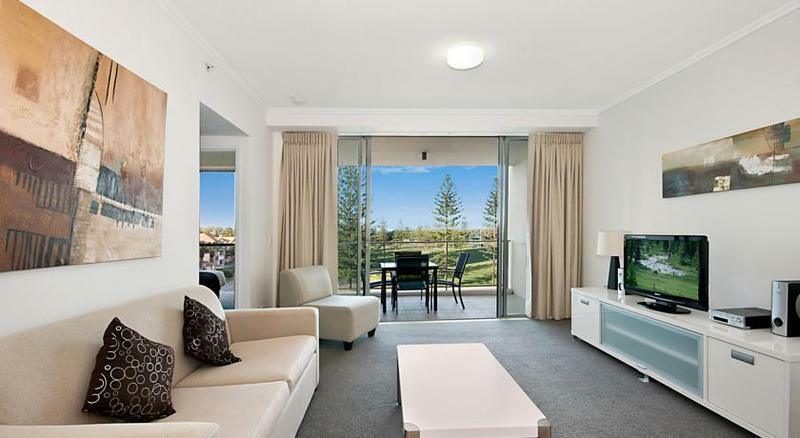 Short walk to pacific fair, beach and dining in Broadbeach or the tram/bus terminal for a quick trip to the theme parks or surfers paradise. It’s nice and quiet and the staff were just lovely. The beds were super comfortable. We will definitely be stay here again. Hello Wren, We are so happy to see another glowing review. It's wonderful to know that you had the perfect get away at Ocean Pacific, with the location, comfortable rooms & friendly staff as highlights. We look forward to welcoming you back again. Kind Regards, Ocean Pacific Resort Management. 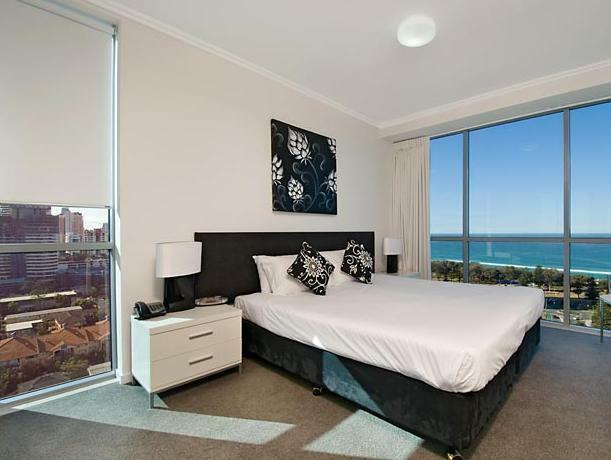 Fantastic spacious room, very clean, amazing view, great location, comfy bed. Only thing I would improve would be the lighting. It was extremely dim and dull which made it very hard to put make up on. Hi Lara, Thank you for taking the time to review your experience. It's great to hear that you had an excellent stay. We have reviewed the lighting We look forward to welcoming you back to Ocean Pacific in the future. Kind Regards, Ocean Pacific Resort Management. Very clean, great views, nice pool. These apartment were recommended to us by friends. Very pleased we stayed here and will definitely stay again. The apartment was very clean and well furnished. Nice pool and pool area. Handy location for early morning walks along the beach. About a ten minute walk into Broadbeach central. Good and decent service apartment. Spacious living room and kitchen. Good if you would like to prepare your own meals. We rented a car and was able to park in the basement carpark for free. There was a leak from the window into the room one night when it was raining heavily. We informed the service staff the following day and they were prompt and helpful. Very Friendly staff. We got a free upgrade to 2 bedroom due to 1 bedroom fully booked. It's very near to pacific Fair shopping mall. About 5min walk. Love the ocean View from the apartment. The apartment is very clean and comfortable to stay. we had a great time staying at ocean pacific resort. the apartment was clean, with great view. location was fantastic, 10 mins walk to pacific fair where we could get our groceries and shopping. the beach was just 5 mins walk and the kids enjoyed the playgrounds and parks nearby. 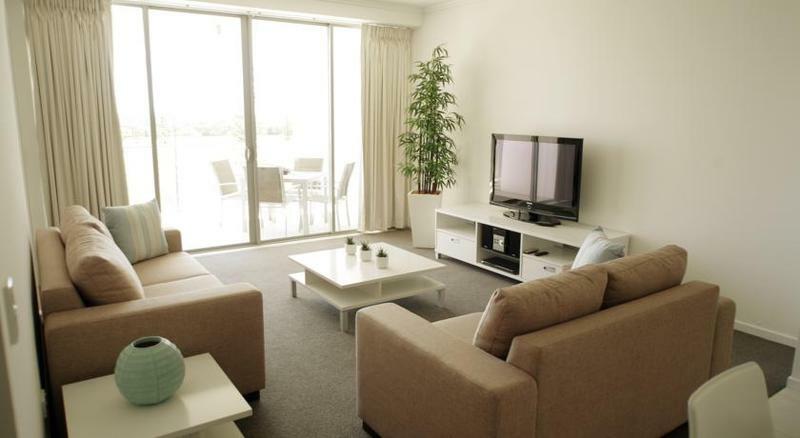 fantastic apartment with reasonable price. the only complaint is the sofa, it has no support and had not been well maintained. there were stains. the kitchen and everything else were great. we enjoyed our stay. All rooms have beautiful views of the ocean. Good, clean rooms that are spacious. Fridge had a weird smell that disappeared during the week and carpet looked a little tired but apart from that the bed and pillows were super dooper comfy. Great facilities that are well maintained. Would definitely stay again. Hi Sani, Thank you for reviewing your experience. We are pleased you had a good stay & would like to stay again. Hope to see you again soon. Ocean Pacific Resort Management. Clean and tidy rooms. Good underground parking and reliable wifi (important with teenagers!). The pool, spa and gym were easily accessible and not overcrowded. Nice and close to the beach. The place we usually stay was booked out so Ocean Pacific completely new to us but we will likely book here next time. Only thing that would have been useful was perhaps a bit more cleaning supplies as we were there 2 weeks (ie a broom but there was a good vacumn cleaner) and housekeeping only came weekly. We preferred that to daily actually. A bit of noise from the local school during their daytime breaks or sports practices but not disruptive and we found it lovely and peaceful at night. Thanks for being a great base for our holiday. Dear Guest, We are very pleased that you enjoyed your stay at Ocean Pacific & do hope to welcome you back again next time. Kind Regards, Ocean Pacific Resort. Hi Steven, We are delighted that you had a great stay at Ocean Pacific. Thank you for taking the time to review. We hope to see you back again. Kind Regards, Management. I always stay in hotels on the gold coast. I never had problems leaving the hotels. I usually use the kitchen. When I leave, the hotel does the cleaning of the crazy people, or you leave the dishes cleaned or you pay a fine of 75 dollars. I did not find it fair, because I paid for a room service. We did not find it easy booking through "mybooking, following our booking with my booking it was noted that we had booked the incorrect room for the number of people we required, rather than offering us a two room arpartment there was alot of emails back and forth trying to clarify the issue. Prior to arriving we were still not happy that we had to pay for extra accommodation, on arrival this was a different story and we were happy with the outcome. In saying this the experience I had now shows me that its best to book direct witht he resort. Overall we were very happy with the service and the room. Clean and fresh feeling throughout. Leather couch in our apartment - always feels cleaner than a fabric one. Hardly heard highway traffic as apartments on opposite side of building. Only four rooms per floor, so not super big and therefore a reason it was fairly quiet from other guests. Easy walk to oasis shopping centre to Woolworths. Enjoyed our first holiday here so booked another week a year later. Second visit was a little disappointing. A different apartment which needed refurbishing. Only a two seater couch and single chair. Dishwasher didn't work but was promptly replaced. Nice pool area. Would probably stay here again if guaranteed a better apartment. Very happy with our stay at Ocean Pacific Resort. 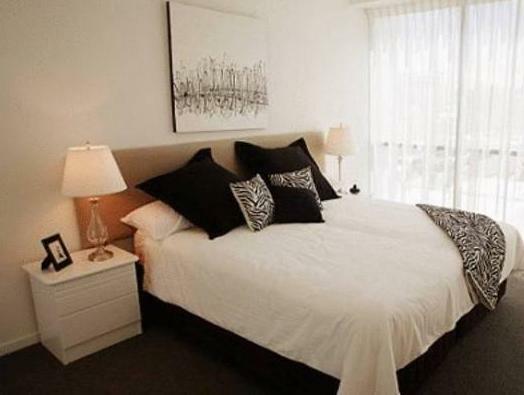 Very convenient with only a few minutes walk to Pacific Fair shopping centre and to all the local restaurants. Free parking is a bonus. Will definitely go back again. Have a great stay. The living room have a great view out to the sea. The master bedroom with toilet and a king size bed. The second room to single beds for my 2 kids. The kitchen is well equipped with cooking stove, oven, microwave , bread toaster, cooking utensils, knives etc. They also have washing machine and dryer , drying hanger. It was a fabulous week. The weather was perfect, the pool area so lovely, the bed comfy and big! The view is amazing and we were lucky to have whales swimming by for several days in a row providing us with entertainment as we sat on the balcony admiring the view. Great ammenities, fabulous location and nice staff who were very helpful. To top it off I was proposed to on the balcony on our first night, what more could have been better! We had a great stay and are return customers. We love the location as it's close to everything but not noisy and in the middle of the main street. The rooms are very spacious. The bed wasn't the best as in the middle it was hard where it is obviously the joining of 2 single beds with mattress over the top. Might need new mattress top.